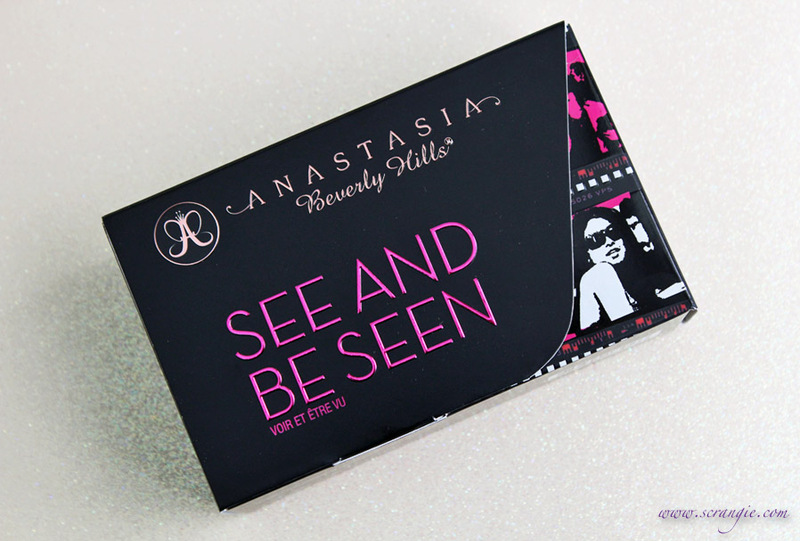 Here's the latest from Anastasia Beverly Hills: The See and Be Seen kit. It's small but good- have a look! Natural light, no primer. 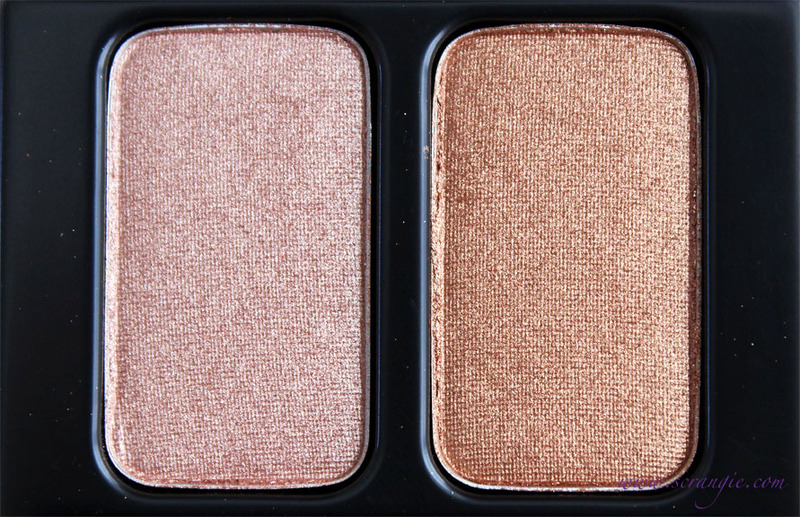 Illumin8 Eyeshadow Duo in On Set, HydraFull Gloss in Heiress, Hydrafull Gloss in Plastic, Tinted Brow Gel in Caramel. The tinted brow gel was the one item in this kit I was unsure about. My natural brow color is pretty close to black, so I wasn't sure how good a golden bronze shimmery brow gel would look on them. 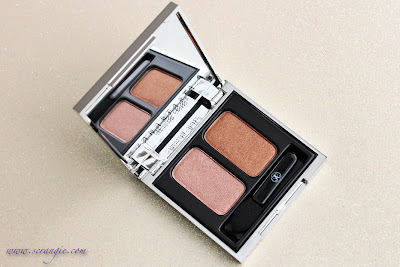 I tried it by first filling in my brows with brow powder that was close to my natural color and then I applied the Caramel brow gel the way I'd normally apply the clear one I use. The result was surprisingly nice; it turned my brows blonde with gold shimmer highlights. This would probably work best (read: look more natural) if you have naturally light brows and hair, or if your hair is dark but highlighted. 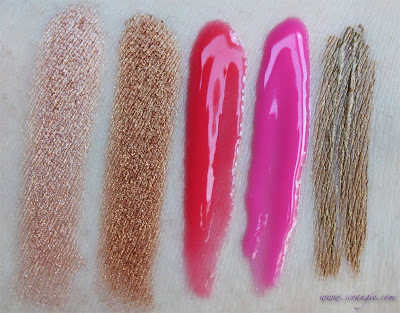 The glosses are awesome. 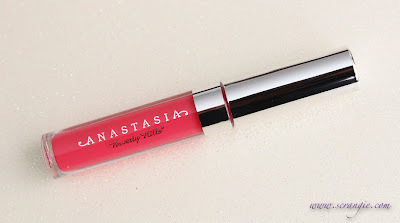 They are the brightest colors I've seen from Anastasia and the best Hydrafull colors I've used so far. They're sheer but not colorless. 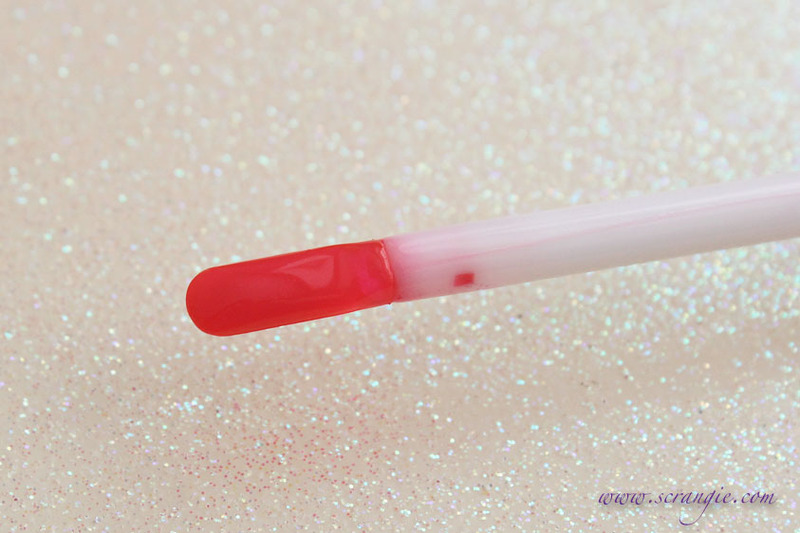 The effect is a very brightly colored clear gloss, almost like a jelly nail polish in lipgloss form. 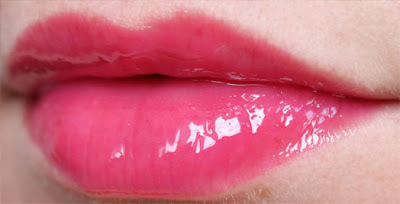 The Hydrafull glosses wear surprisingly long. 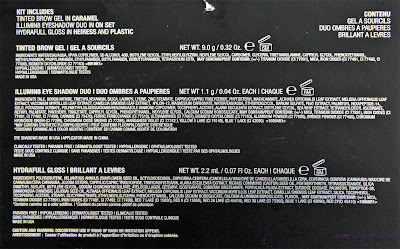 The Hydrafull formula is smooth, very thick but not necessarily sticky, hydrating, cushiony feeling, extremely shiny and scented with a light but pleasant vanilla scent. One of the nicer gloss formulas out there. 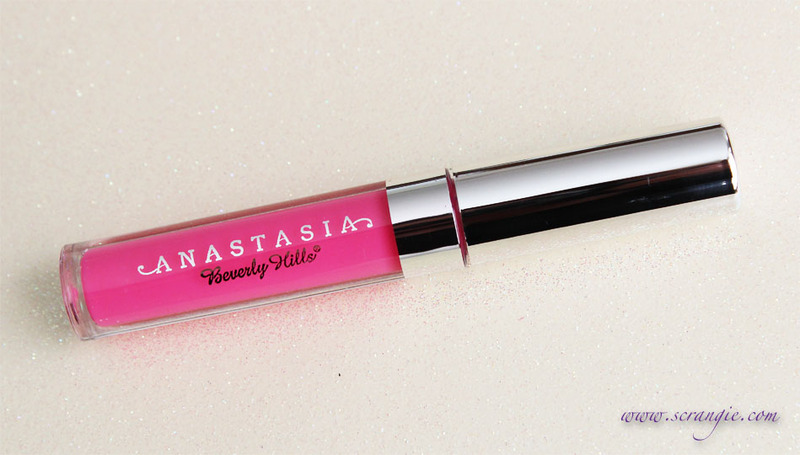 The gloss does actually make my lips look a little more full. The effect is temporary. The brow gel works well to hold brows in place and doesn't look too shiny or sparkly. 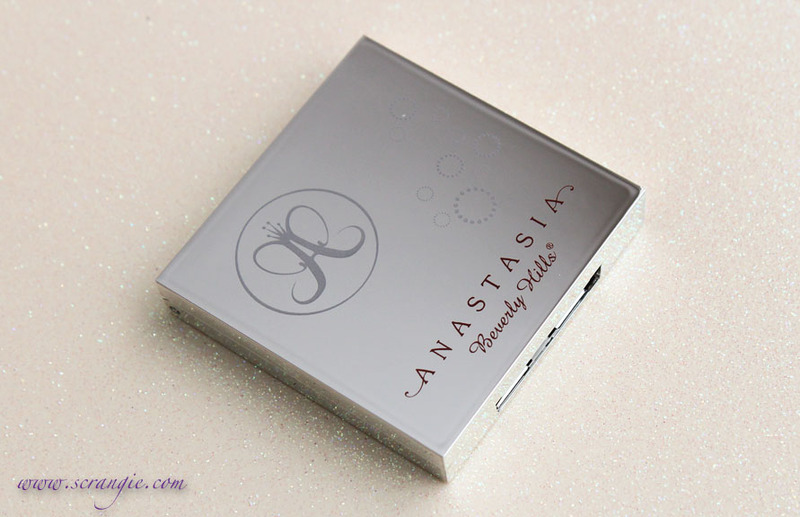 The shadows are pretty and easy to wear and the formula feels soft and smooth. Pretty good price for what's included ($80 worth of product for only $44). The spatula-like applicator on the glosses is so weird to use and I always make a mess with it. 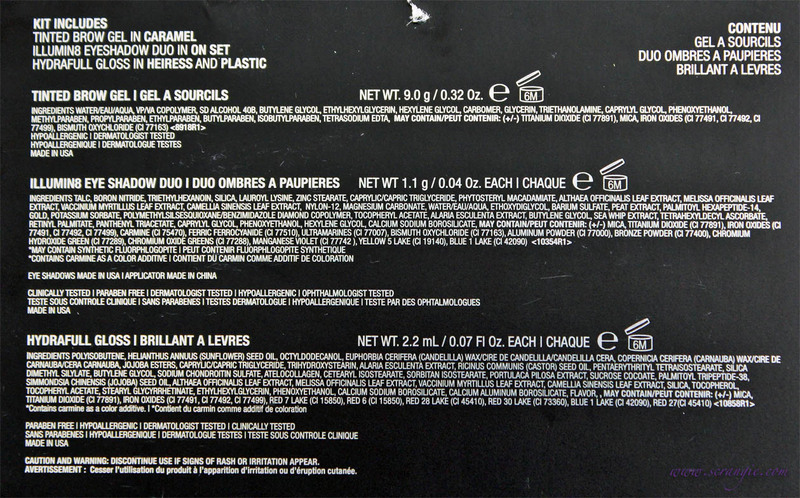 The gloss colors are great, but they're only available in this set; you can't buy them individually. The brow gel may look unnatural on people with dark eyebrows and hair. 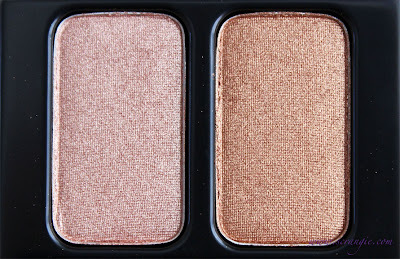 The intensity and color of the shadows fades significantly after application no matter which primer I use. They're better when used wet. My favorite thing in here is the gloss. Both colors are awesome. Bright and shiny, comfortable to wear and long-lasting. 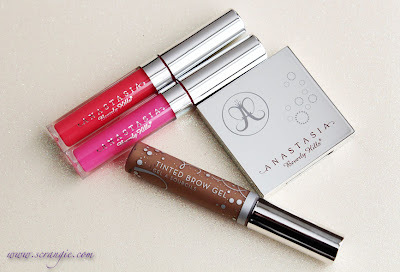 Everything in here is nice but the glosses are really top notch. 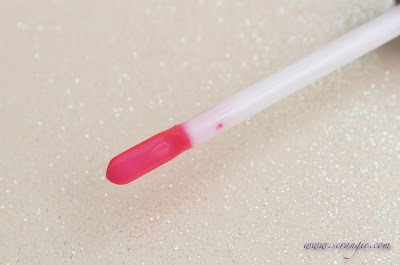 On a somewhat related note, I've just noticed that the Hydrafull glosses have come down in price since I tried them last- they used to be $21 individually, but now they're only $18. Too bad these colors aren't available by themselves! The Anastasia See and Be Seen Set retails for $44 and is limited edition. All the products look FANTASTIC on you! Love Heiress on you. Its my favorite item in this post. 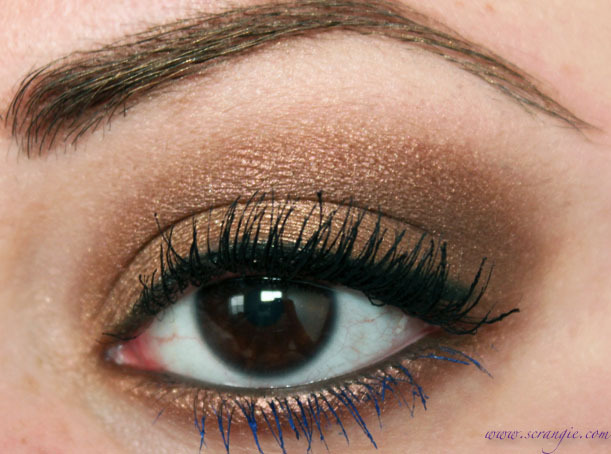 your eotd is very pretty too. I think they all look wonderful on you! Your eye looks super gorgeous! The Hydrafull lip glosses are looking so juicy! Beautiful! I've never tried this brand before but those lip glosses look awesome! 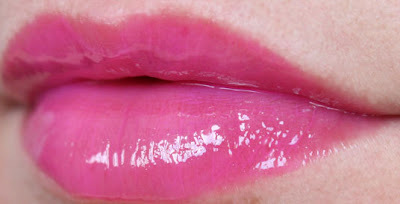 I love the glosses, too! I'm not so fond of the spatula, it's interesting but messy. All of these shades are gorgeous! 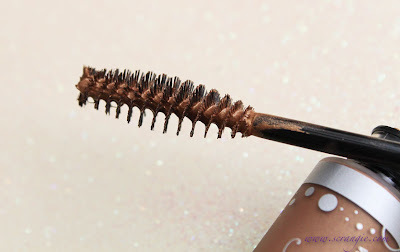 I love Caramel, it's my favorite brow gel... I think it looks much more natural than clear gels on me, and since I have mousy medium-brown hair that I dye red, the gold shimmer helps make my brows look like a better match to my hair color without looking unnatural. Thanks for the swatches! I love this kit! And your review! Yours makes mine look like crap haha! Wish I had your brows! Hmm, I have brown hair but black brows and people have commented on the difference. (Nothing like saying "no, I don't dye my eyebrows black.") 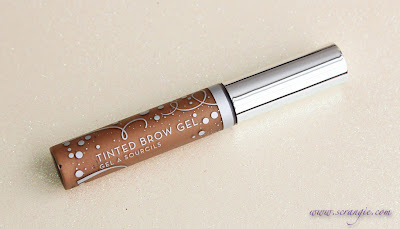 The brow gel might be a good choice for me. Looks great on you. I have brown hair but black brows and people have commented on it. Nothing like having to say "no, I don't dye my eyebrows black" ;) The brow gel might be a good choice for me. It looks great on you. Your lips with the glosses look like glass! WOW!